I set my alarm for 1:55 am Central this morning. 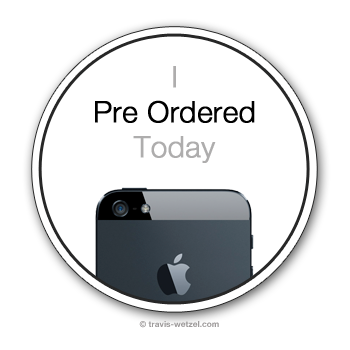 I woke up and successfully pre ordered my Black 64GB iPhone 5 with Verizon. I will (hopefully, not regrettably) lose my grandfathered unlimited data plan with AT&T. It was a difficult decision to lose the unlimited data, but I will be saving money with a shared data plan and gain the ability to use my iPhone 5 as a hotspot at no additional cost.